The following is an initial and partial list of articles, scenarios, and inserts. (contents are always subject to change). 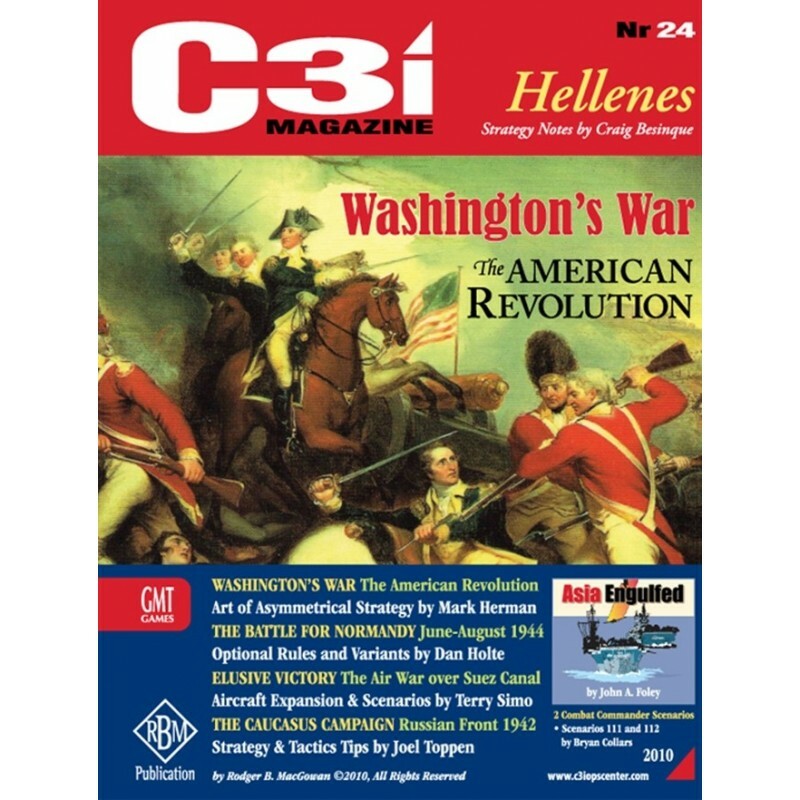 The cover feature article for C3i Magazine, Nr24 focuses on how each side in Washington's War requires different strategies to win. Designer Mark Herman offers detailed insights and historical strategies on how to win the American Revolution where British conventional force meets American guerrilla tactics. Do you RSG? See how the Random Scenario Generator is used to create fresh new scenarios for the Combat Commander system. Referencing the new CC scenario inserts in C3i Nr 24 this brief article will demonstrate how a historical combat situation can be modeled using the RSG. What makes an historical wargame historical? First installment in a new C3i regular Feature Column by Mark Herman.